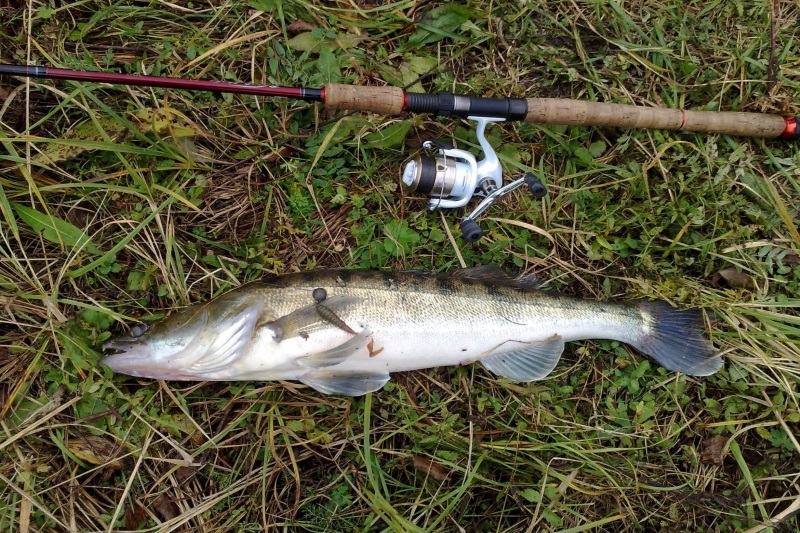 If the rod is short (less than 2.1 meters), then the probability of hooking the bait during wiring increases by 50%. It is known that perch often grabs silicone near the shore, but this may not happen, as the lure sometimes gets stuck between the stones. 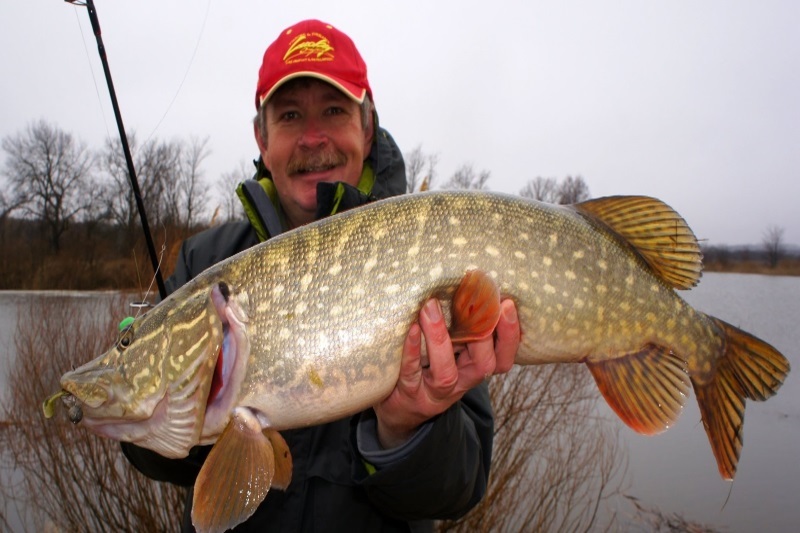 However, the use of a long rod (from 2.1 to 2.7 meters) will not only make it possible to easily release the stuck twister, but also make it more efficient to carry out, that is, alternate a sharp jerk up and a slow dive, which pike-perk likes so much. The rod should not be too pliable. On the contrary, ideally, the blank responds to such qualities as rigidity and quickness, because when fishing with a jig, from the rod, an instant reaction is needed even to the slightest movement of the fisherman’s hand, when, for example, he forces the bait to jump or cut the pecking fish. Therefore, such a jig stick is needed, with which the bait easily starts the game and the soft tip of which does not provide a cushioning effect on the jerky movements of the silicone. Such a rod allows the fisherman to make sharper baiting and more straightforward hooks. If you comply with these conditions, the perch, at the time of biting, will have no chance to break off and leave, and the strong base of the tip ensures, in turn, a powerful hook. The same can be said about the diving out of fish – a hard form will guarantee that the rod will not fail if the fight with a predator is long and difficult. It is necessary to choose the right line. Immediately make a reservation, nylon fishing line is not suitable for this. It can stretch, causing the bait to play in the water as if it were attached to a rubber band. When wiring, silicone should clearly respond to every jerk of the tip, and therefore a good jig cord will work here. A good cord has three important qualities – it weakly stretches, can withstand a huge load, and all this with a small diameter. With it you can safely spinning from the shore and not be afraid of hooks, and the small diameter will allow you to use small jig-heads and throw the lure at a decent distance. For those who believe that the combination of cord and hard form, when hauling fish, will be too dangerous, we can offer the following advice: so that the cord has a slight cushioning, tie a meter-long lead made of fluorocarbon. When wiring, the cord or fishing line should be taut. However, this simplest rule is often violated even by experienced fishermen. They leave the line untight when they turn the coil, passing the line between their fingers, or, using the tip of the rod, play with bait, forcing it to move in spurts in the water. 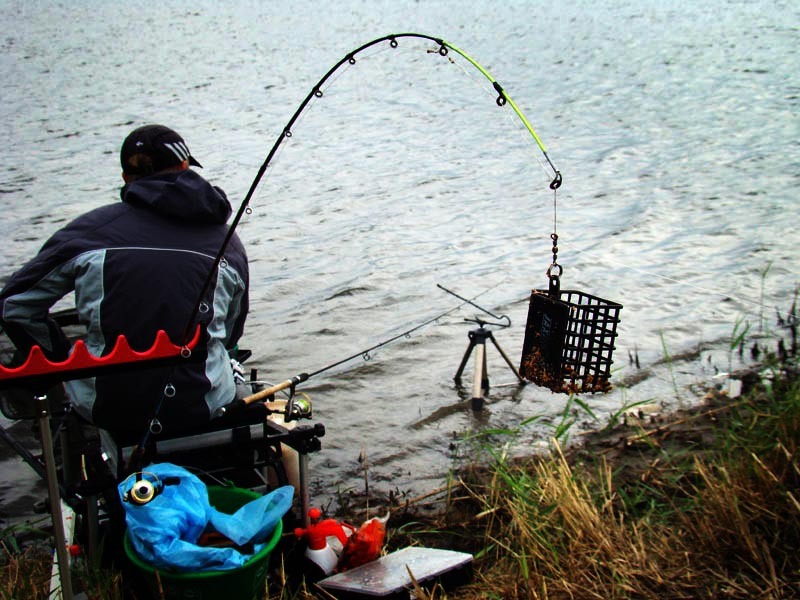 As a result, the sensation of the bait is lost, which leads to two unpleasant consequences – the long-awaited bite turns out to be noticed too late or goes unnoticed at all. Therefore, in order for fishing to be successful, the fishing line must be taut, and the bait sensation must be maintained at the same time continuously. And then it will not matter how the angler feels the bite; the main thing is that the cutting will follow at the right time and the fish will firmly sit on the hook. Add a little trick – as soon as the bait hits the water surface, the coil bar should be closed. Then the vibrating tail on the stretched fishing line will begin to sink to the bottom, simultaneously hesitating and seducing the fish with its game. If a predator attack occurs in the first stage of diving the bait, it will be impossible not to feel it. The shape of the jig head is also important. When hunting for perch, it is better to use sinkers with a large area – they fit perfectly to the bottom, and this reduces the number of hooks. Of course, a ball-shaped jig head is permissible, but with one condition – the eyelet should not be under the straight, but at an obtuse angle, so that the bait can be easily lifted from the bottom of the reservoir and it less often clings to the stones. In addition to the shape, the weight of the jig head is important. It is known that fishermen often put a heavy head, which is fundamentally wrong, because the weight of the sinker must be reduced to the possible limit. If the water is still standing, a head weighing 5 grams will suffice. 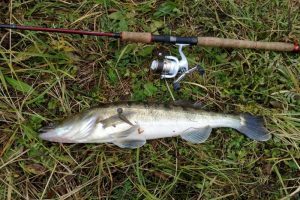 And let the twister sinks to the bottom for a long time – no need to add another sinker to the fishing line, since the slow slip of the bait is very attractive for fish. However, a lot depends on the situation. On a fast-flowing river, a lightweight jig-head can be easily blown away — it starts rolling and the silicone takes the wrong position.